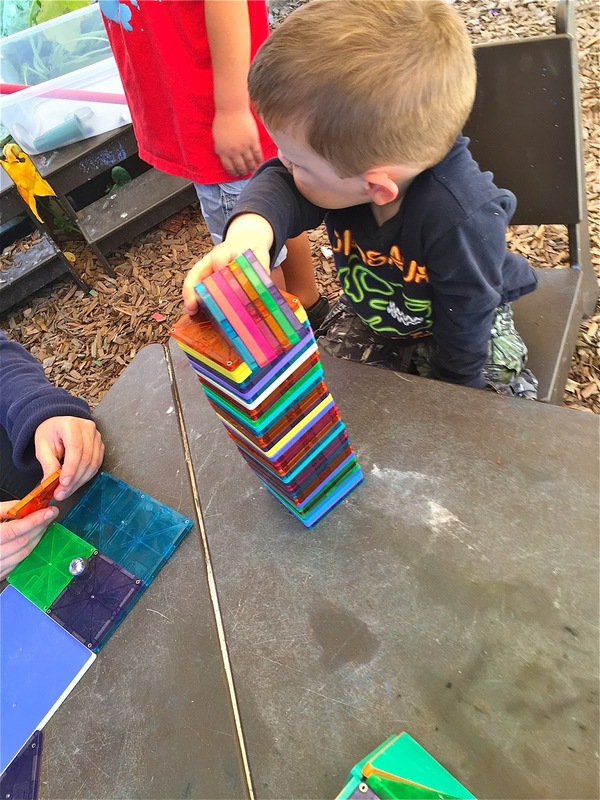 Teacher Tom: Why Are We Afraid To Just Let Children Play? Why are so many of us so afraid to just let children play? 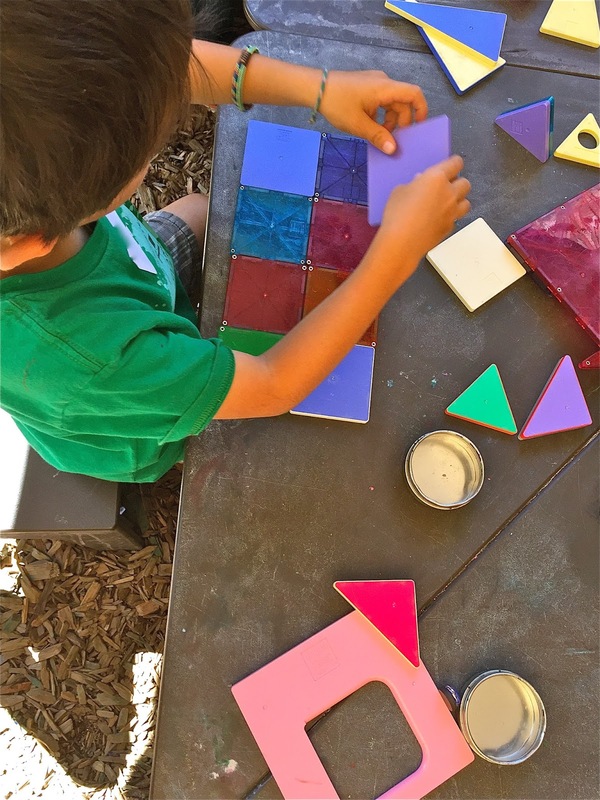 Not long ago, we got out our boxes of Magna-Tiles. These are cool, popular building toys. 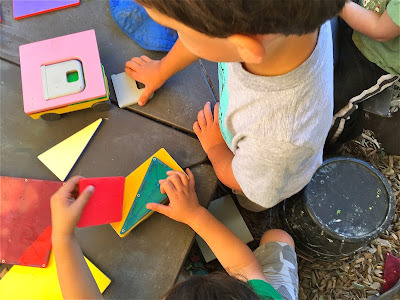 If your classroom doesn't have a set or two, I recommend them. 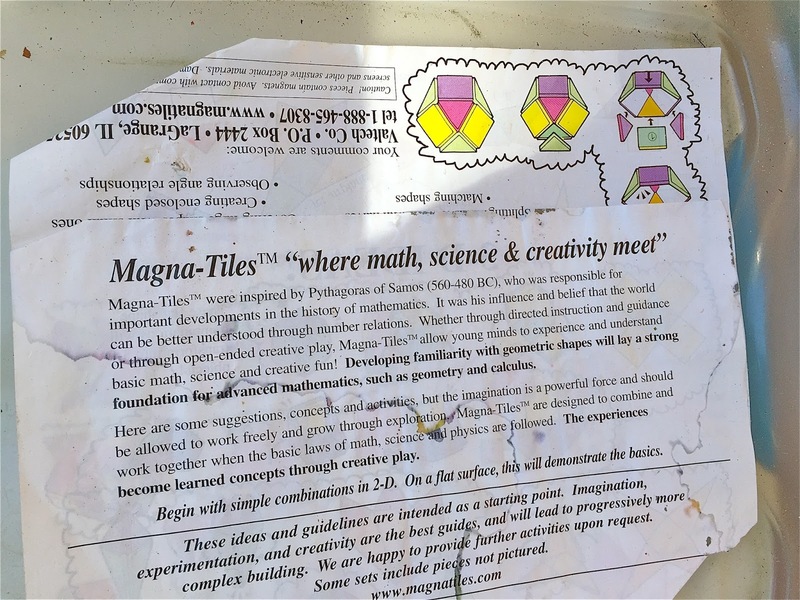 As I watched the children build, I noticed a battered page of instructions at the bottom of the box that bore the headline Magna-Tiles "where math, science & creativity meet." The text then goes on to discuss Pythagoras and the history of mathematics. To their credit, they do recommend that children be allowed to explore their toys through open-ended creative play, but the very fact that this needed to be emphasized at all is a bad sign. It's as if we've become convinced that young children are just wasting their valuable time when they "just" play, that every minute spent not exploring math, science and creativity leaves our kids another minute behind those Chinese kids who, legend has it, never rest. 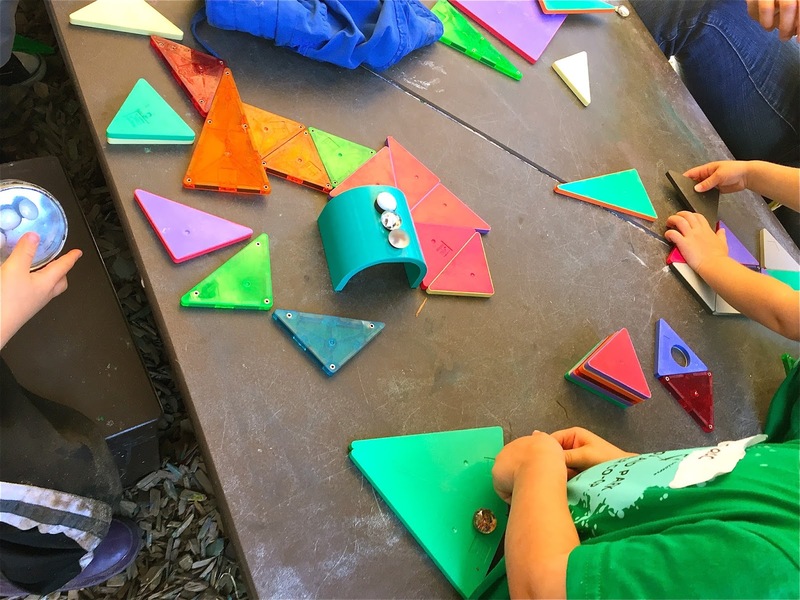 The fact that all play is educational, that all toys are educational is beside the point: when did we lose sight of the fact that play is what children are supposed to do? I reckon we can, at least in part, blame the corporate education reformers who have intentionally sewn seeds of doubt about the efficacy of our educational system, selling the story that our schools are failing, causing parents to fear that junior is fall behind, that even those precious evenings and weekends when their kids aren't engaged in homework or extracurricular enrichment activities must be chock-a-block with things like Pythagoras. When did we forget that all play is educational and because of that all toys are educational? 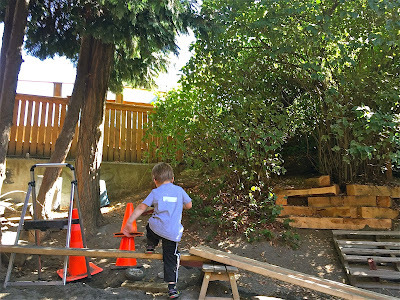 Maybe we never knew it, of course; maybe our grandparents just sort of intuited that kids needed play, that they didn't need adults hovering over them drilling them with stupid questions or "teaching" them this or that. Maybe they just understood that without play, and lots of it, there is no childhood. 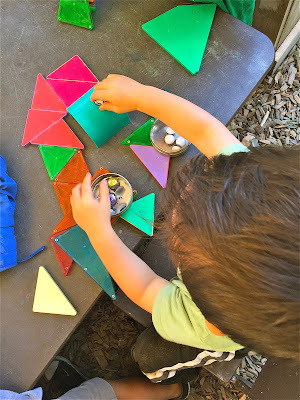 As I watched the children using Maga-Tiles to create castles and cars, squares made of squares and triangles made of triangles, as I heard them negotiate for blocks and tabletop space, as they chattered about their thoughts and discoveries, it didn't occur to me that they were doing anything other than playing, having fun, until I spotted that sheet of instructions telling me about Pythagoras. We were outdoors, on the playground. 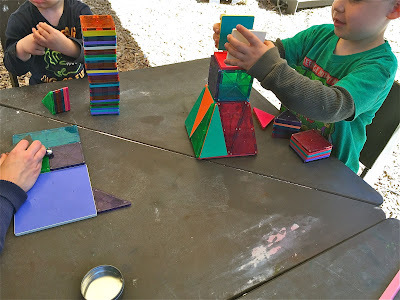 No one was making them sit at these tables to build with these plastic, magnetized blocks: they were choosing it, freely, and they could just as freely walk away which many of them did the moment it stopped being fun. Or rather, the moment something else looked like more fun. And even as I write that, I can see the fear-mongers wagging their fingers, I can hear them tut-tutting: "Where's the grit? Where's the rigor? How will they ever learn about hard work?" Anyone who has spent any time watching young children play knows that grit, rigor, and hard work are at the heart of all true play. What they really mean to ask is "How will the children ever learn to do the rote tasks that others demand of them?" Or perhaps, "How will they learn to obey?" That isn't what childhood is for, although that's what adulthood sometimes teaches us, and no amount of practice makes it any easier, unless what they're talking about is "breaking them." What kind of Dickensian villain would take away childhood in exchange for the work house? 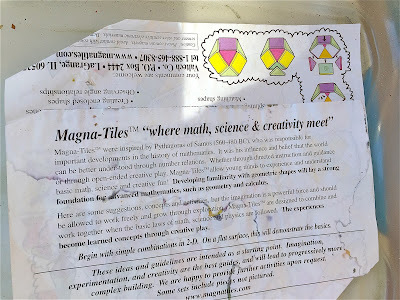 At the end of the day, after the families had left, the Magna-Tiles packed away in their boxes, I reopened them to remove that sheet of instructions and threw it in the recycling. 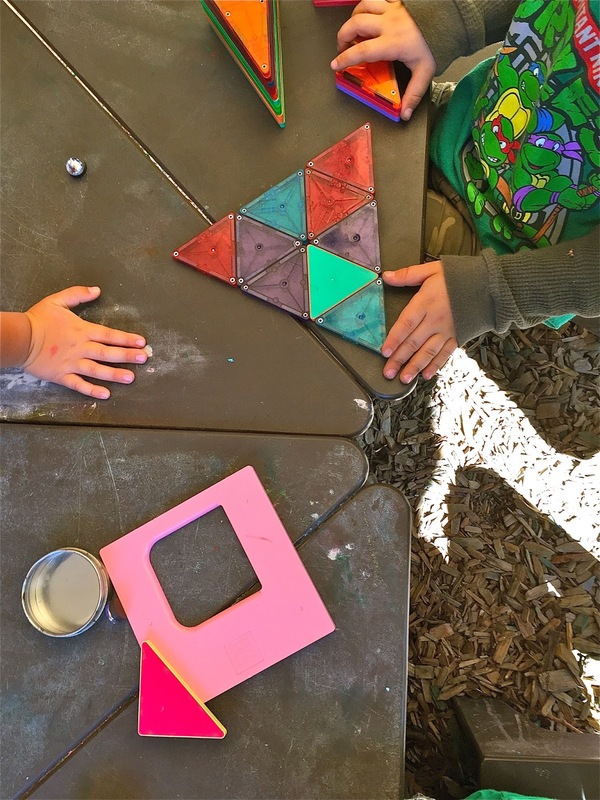 Play is its own reward; the kids don't need that piece of paper around encouraging adults to make it "educational." First they need their childhood.